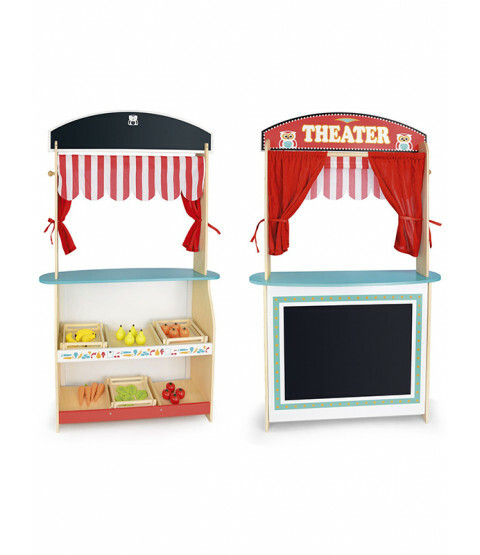 This fantastic Wooden Shop and Theatre Play Set offers two great role play toys in one - simply turn the play set around to reveal the side you wish to play with. 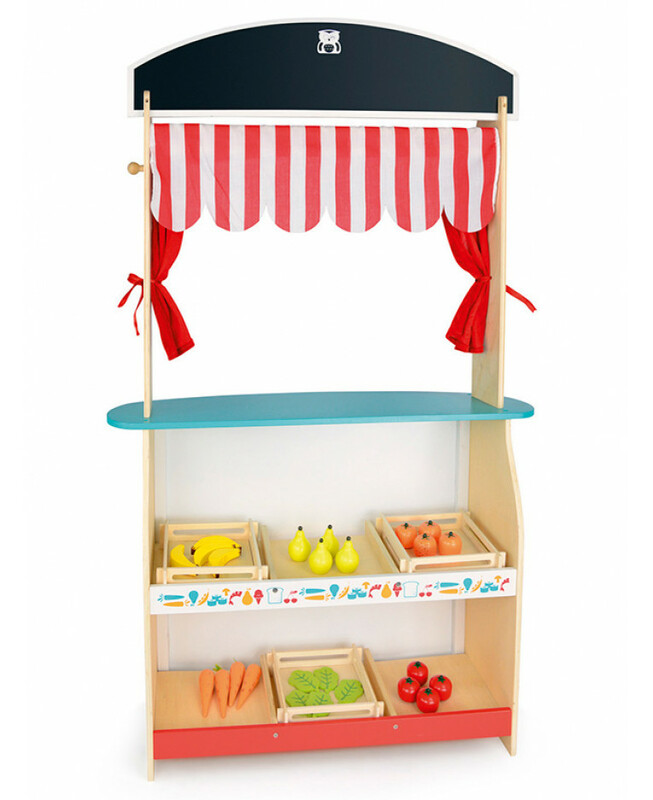 The shop side features two shelves with storage trays to show off your produce and wooden fruit and veg. 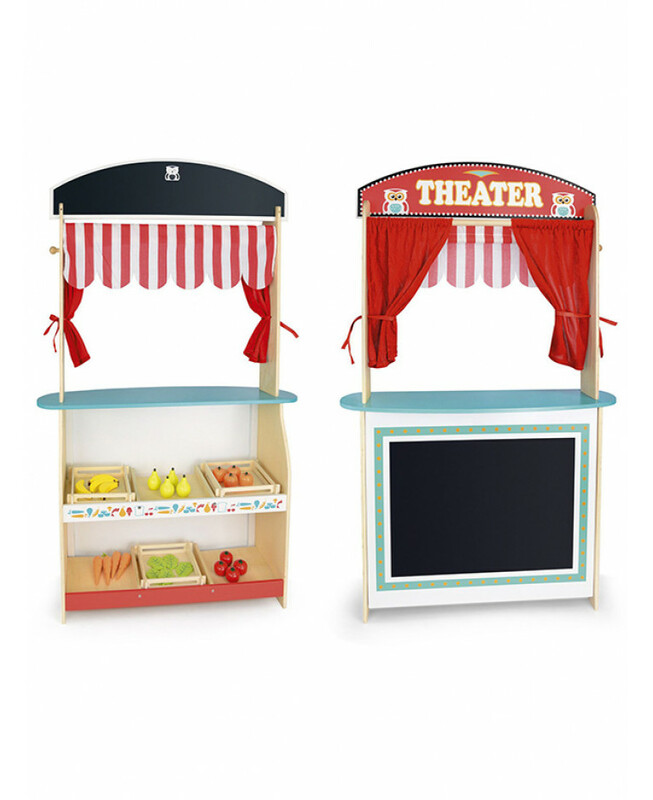 It also has a stripy grocer''s blind with a blackboard at the top to write the name of your shop plus a mini hanging blackboard to show all your prices and promotions! 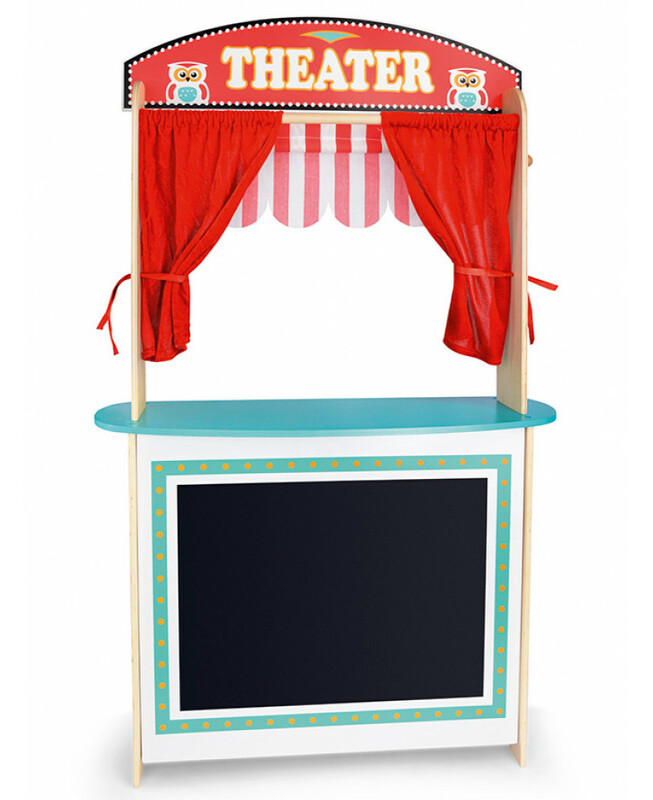 The theatre features plush red stage curtains and a larger blackboard to display the titles of your plays and performances.If you are looking for a toy to ignite and develop your child''s imagination this is an ideal choice!